Are you wondering about a bright light in the sky? What about an upcoming eclipse or transit? Are you curious about what you might see in a telescope? If you have questions like these we have answers! 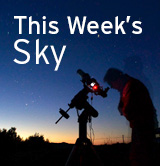 The RASC's "Ask RASC" service puts you in touch with knowledgeable amateur astronomers from across Canada who can give you straightforward answers to your astronomical questions. About the Northern Lights (aurora), if you live south of the 49th parallel,you will seldom see Northern Lights from your location. You might have to travel north into Canada or into northern Ontario to see the aurora. You might only see the lights on the distant northern horizon. Even then, there is no assurance that you will actually experience the lights – they are very difficult to predict with any accuracy. Plus, the sky should be mostly cloud free, of course. Don't count out the Moon, for it is a bright nighttime object and it can wash out the aurora. Where would I find the information needed to buy a good telescope? I have about $500.00 to spend on the gift. Here's some good advice from an expert. www.skynews.ca/tips-for-choosing-your-first-telescope/ Get a very good binocular, which you can buy for about $250. The recommended maximum size for hand holding is 10 X 50. Anything larger requires a tripod or other stabilization device. The advantages to binoculars are: images are upright (telescopes aren't); you use both eyes; can be used for daytime, terrestrial viewing; won't become a useless doorstop gathering dust in a closet, as cheap telescopes often do. With a good sky atlas, binoculars can help the observer learn the constellations and the night sky. Telescopes are narrow field, binoculars are wide field. A GoTo telescope costs nearly $2000 these days, but you can get cheaper ones that will do the job. The problem is this: learning the sky and learning how to use the telescope are two very steep learning curves to take on both at the same time. I have a rock I believe is a meteorite. How do I find out what if it really is? Go to the Royal Ontario Museum's Rock, Gem, Mineral, Fossil, and Meteorite Identification Clinic. These clinics are held every two months. I believe I saw a meteor. How do I find out what it really was? I saw a bright light that suddenly appeared, then disappeared. Was it a supernova? Supernovae happen when a supermassive star implodes (not explodes) once it has run out of fuel. Although the implosion happens in a fraction of a second, the supernova lasts for weeks, not seconds. So what you saw definitely was not a supernova. I saw a star that blew up and sent out sparkles-what was it? This sounds like a "fireball," an extremely bright meteor (shooting star). It was not a star, but rather a piece of rock, or possibly part of a spacecraft, that entered the Earth's atmosphere and burned up, breaking into fragments, which were the "sparkles" you saw. Where can I find out about current observing conditions in my area? The Perseid meteor shower occurs each August when the Earth passes through a stream of particles from an ancient comet. The Perseid meteors appear to radiate from a point in Perseus, hence their name. They reach their maximum, about 90 meteors per hour, on August 12, but occasional Perseids are often seen a week or so before or after this peak. The best time to observe is after midnight. In what constellation is "Procyon"? Procyon, one of the brightest stars in our sky, and also, at 11.4 light-years one of the nearest stars to our Sun, is located in the tiny constellation of Canis Minor, the small dog. It is prominent in the winter sky just to the left (east) of Orion. When can I see Mars? Mars is well placed for observing for a few months on either side of opposition, the time when it is closest to the Earth; the rest of the time it is fairly faint and close to the Sun. It will next be in opposition on March 2012, at which time it will be located in the constellation Leo. Around that time it will rise in the northeast around sunset and set in the northwest around sunrise, being almost overhead at midnight. Where can I learn about CCD imaging? There are many active CCD imagers in the RASC; contact your local centre for more information. Could you tell me whether XXXX is a good store from which to buy a telescope? While the RASC cannot recommend one dealer over another, we have found that most telescope stores in Canada are owned and operated by dedicated amateur astronomers. Most are "mom and pop" operations, so may not seem as efficient as the large online superstores, but they offer a level of personal service that is hard to find elsewhere. The sky glow in my city is really bright – is there any point in buying a telescope? While the sky glow in most Canadian cities is severe, it's still possible to do a lot of astronomy there. Sky glow won't interfere with solar, lunar or planetary observing, nor with observing double stars or variable stars. For the rest, mainly deep-sky observing, most urban astronomers own transportable telescopes that they use regularly at dark-sky sites outside the city. Beginners in badly light-polluted areas are sometimes advised to buy small scopes, but in fact a larger scope will reveal more objects, even in an urban setting. Philip Harrington: Star Ware (Wiley). Contact your local Centre of the RASC and ask about when their next star parties will be held. Nothing beats actually looking through a variety of telescopes, plus talking to their owners. How could we get someone to come, with a telescope, to our school to do a star party for our students? Contact your local RASC centre. Many Centres have school outreach programs, and, even if they don't have something organized formally, they are usually happy to visit a school and "share the view." What is Torrance Barrens and how do I get there? Torrance Barrens is Canada's first dark-sky preserve. It has some of the darkest skies in southern Ontario, and is relatively accessible, being on a paved road close to Gravenhurst, Ontario. The easiest way to reach Torrance Barrens Dark-Sky Preserve is to take Highway 160 west from Gravenhurst until you reach the village of Torrance. Turn left onto Highway 13 and continue south, crossing the railway tracks twice. Just south of the second railway crossing at Woodward Station, look for the Torrance Barrens sign on the left (northeast) side of the road. I recommend reconnoitring the site in daylight first. If you are considering travelling to the Torrence Barrens to view the Northern Lights, read this first: "...northern lights are only predictable if you live close to the Arctic Circle, and such predictions are doubtful even then. I happen to live 25 km south of Torrance Barrens, and I have not seen an aurora, not even once, in the past 5 years. As a matter of fact, I saw more aurora when I lived in Toronto than I've managed in the 10 years since we moved up here. Nobody, not even in Iceland or the Arctic, guarantees tourists that they will see aurora. They are just too unpredictable. I found a rock. Is it a meteorite? Your best bet is to bring it to a museum with a good mineralogy department. Some meteorites are mostly iron and quite heavy; others are mostly stone and of normal weight, but often have scorch marks on their surface and metallic crystalline structures inside. If the rock is light in weight, it's more likely to be slag from a smelter, rather than being from space. Where can I find the times of sunrise, sunset, moonrise, and moonset? When does the space station pass over my location? How can I find out more about the Sun? How do I buy or sell a telescope? Stay away from places like eBay, as the telescopes sold there are generally of very poor quality. 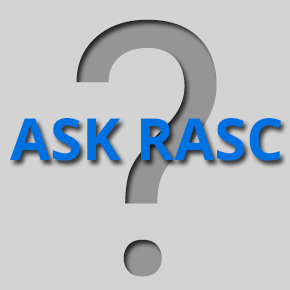 When and where do RASC Centres have meetings? See our Centres information page for a current list. The RASC Kingston Centre publishes Careers in Space.